Montez graduated from Loughborough University London in 2017 with a degree in Entrepreneurship, Finance and Innovation. Here Montez shares his journey from the USA to London, a few highlights and how he managed his elite sport alongside his studies. Why did you choose to study Entrepreneurship, Finance and Innovation at Loughborough University London? I chose this degree because there were multiple dimensions to a single business degree. When the classes and degree were explained, I would be granted an opportunity to learn how to birth and nourish my own organization. This would come from in-class teachings of how successful, global names like Apple and Microsoft were able to weather the storm and pivot in ways companies like Blackberry did not. We also were able to hear from leaders within medium sized business and see first-hand/be a part of start-up programs and projects similar to ones I wanted to start myself. Prime example is seeing and learning about the “Here East” project. I know it seems to be polished and well managed but by definition it’s a start-up, and being able to speak with CEO Gavin Poole on multiple occasions was game changing. How has the University inspired you? Loughborough University has actually inspired me much more than I could have expected, but a few stand out more than others. The most important was the magical ability to make me feel at home. So much so that I feel like my family actually grew from the people I met. The fact that students were the ones that came up with the ideas to feel more at home and the school provided the resources to make it happen upon formal request was absolutely amazing. Also, being asked to give the welcoming speech for Loughborough University’s New Chancellor, Seb Coe, was shocking and awe-inspiring. Now that I think about it, most of what I’m inspired by are the platforms that the University allows for student engagement. In a way, we are all executives of our university because we have so much say on what happens. We have a voice that can be heard…globally. Oh, and the fact that my university looked like Google’s little brother wasn’t too shabby either. Can you tell us about your sporting experiences and how did this fit in with your studies? It was great to be a member of the Loughborough University athletics team and be a part of a winning program again. It was tough but the University helped me design a set schedule for training outside of my class hours and provided all the necessary tools for me to be successful in both. Because I attended Loughborough’s satellite campus, my coaches set me up with a training group based in London and provided all of the training tools and equipment needed to compete at highest level. To add, whenever specific technical work and competitions were scheduled the school covered expense of hotel and travel. Without the guidance, assistance, and upper echelon coaching I don’t think I would have won two national titles and placed 4th at British Trials. “Be a sponge.” – Bob. VC Bob actually said that to me the first time we met (I didn’t actually know who he was then and I’m pretty sure he made the joke accidently). So, I’m passing this highly valued advice that helped me most during my time as a postgraduate student. Make sure to take advantage of the resources you have while attending Loughborough University London. Be as active as possible. Attend as many events as you can and assess every word heard. It may not seem important at the time but it could prove valuable later. Never let a moment slip to network! Loughborough University London has an endless amount of connections that should be leveraged, and being in London only allows for further growth of network. Everyone wants to be in London and eventually travels to London because it is one of the capitals of the world. Take advantage. Did you take part in any other extra-curricular activities during your studies? If so, how did this impact upon your Loughborough experience? Aside from being one of Loughborough University’s athletes, I was also the Enterprise Rep. This position helped me push further into the corporate world within London and elsewhere from just the name alone. Within the University, it opened many doors as well. It allowed me to bridge the gap between ambitious students and their next steps in life. We were able to host fun, informative events in-house and expand to attend global events like the Student Enterprise Conference and London’s Tech Week last summer. Can you tell us about your career journey so far? Where are you working now? I currently work for Oracle as a Business Development Consultant. The Fortune ranks Oracle 9th amongst all global tech companies. I’d certainly say my degree and experiences at Loughborough University helped me land my role here. Oracle just happens to be in the process of a huge innovative change toward cloud storage and my background in entrepreneurship is a reflection of the internal drive and motivation large tech firms look for. What interests me most about my job is that my entrepreneurial tendencies that were further uncovered and strengthened in London are what help me succeed at Oracle. The amount of work I put in is a direct reflection of how much change I bring the organization. Though I do not hold a director, VP, or C-suite title, I can see my input makes a difference to both my organization and the customer. I also love that my work environment is constantly positive, my management team is amazing, and the upward mobility options are extremely tangible. My future remains the same. I will work in a large tech company (as I am doing now), learn the culture and how a successful business functions, and then set off to create and build my own company. I still want to build and leave a legacy that can change the world. 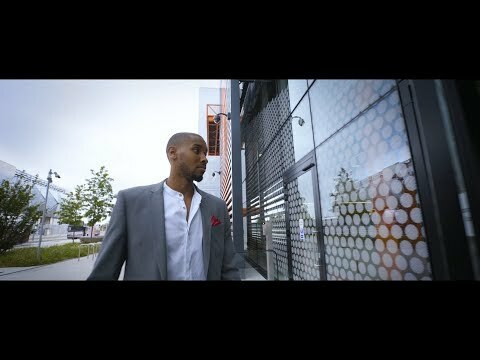 Hear from Montez about his master’s journey and why he chose to study at Loughborough University London, on Queen Elizabeth Olympic Park.